I've just finished reading Isabella D'Este, A Study of the Renaissance, by Julia Cartwright, mentioned by Huck in relation to its reference to playing cards on this thread. In Volume 2, Pietro Bembo visits Isabella in 1537, and after returning to Padua writes to tell the Duchess of Urbino how much he missed her at Mantua. The author goes on to describe the treasures Bembo would have seen. With what keen delight he must have turned over the pages of illuminated manuscripts of Petrach and Boccaccio, and examined those curious Books of Fortune and Dreams on which the cultured ladies of those days set so much store! Now I'm curious - the books mentioned at The Hermitage, More than a Game don't seem quite right, and a search (in both English and Italian) has revealed nothing that does, although I could easily have missed something in Italian - any ideas? Hi Huck, and thanks - will go and see what I can find. A preliminary search found Lorenzo Spirito's Book of Fate. 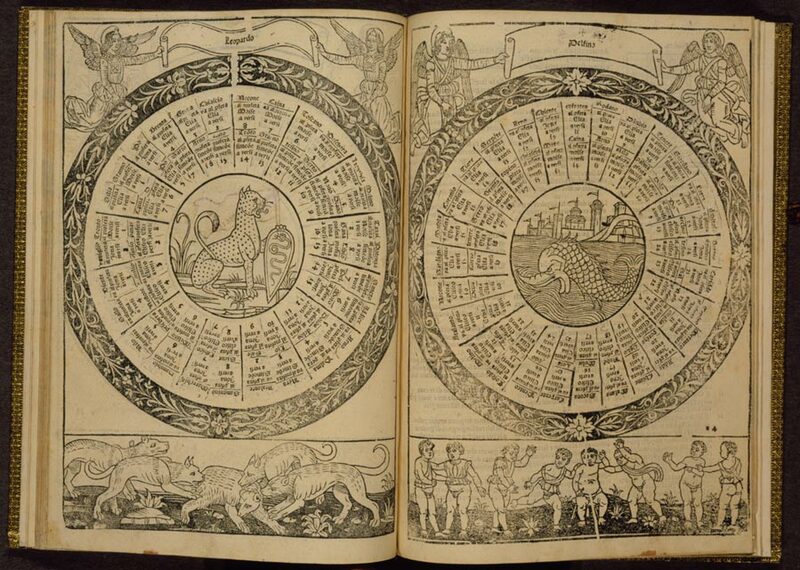 I can't find the original online, but the facsimile looks wonderful - Abebooks has it for £3000+...! Also of importance is Sigismondo Fanti (1526) and Marcolino da Forli 1540/1550 ... and German variants, which are many. Wonderful images and enough to keep me engrossed (and quiet!) for weeks - thanks Huck. I found Libro de la Ventura by Lorenzo Spirito too - he must have been a busy man. Pen wrote: Wonderful images and enough to keep me engrossed (and quiet!) for weeks - thanks Huck. There are various version of almost the same book, not totally identical with each other. I see that now also Triompho di Fortuna can be downloaded. But what about the Books of Dreams? Although I dread the endless new Tarot myths that will almost certainly be spawned by opening these books, I have to recommend the collection of texts this site makes available. There are not only some great trionfi in the festival books, (Henry II's is my favorite) and other expected finds, (as in the "Game Books" collection), but there are even some cognates for the Popess (in Icones Symbolicae) and Hanged Man (in a book of martyrs) tucked away in these books. This collection is a gold mine of sorts... if only the miners can distinguish the golden parallels from the pyrite and other tailings.